For anyone looking to shed those pounds or beef up, Bannatyne Health Club in Leicester have just reduced their full 12 months membership to £29 a month, making it £348 for the year. Definitely the cheapest price for a city centre club and the facilites are great. It works out cheaper to go on a full 12 months membership than to do off peak or 6 months packages. I get my program changed every 4 weeks by the gym team who have really helped me loose weight and I love the class, must around 60-70 on the timetable. And there all included. About time they dropped their prices, glad I cancelled though. 'The Gym' and 'Pure Gym' are so much cheaper! Sorry, but at that price....I'm Out!!! I pay £48 a month at Bannatynes in Wakefield! I think someone has been pulling my pants down! cheaper doesn't necessarily mean better, after all they are gyms and this is a club, hence the facilites are maintained better plus the members have more respect for the club. Each to their own I guess. No wonder Bannatyne is sitting on a 75 million fortune, at these prices he's laughing all the way to the bank! cheaper doesn't necessarily mean better, after all they are gyms and this … cheaper doesn't necessarily mean better, after all they are gyms and this is a club, hence the facilites are maintained better plus the members have more respect for the club. Each to their own I guess. Not sure I "get" the difference between club/gym...I haven't been to any Ballantine clubs but I hope they are better maintained and set up than their website! Some of the photography is particularily poor and the whole thing feels like a bad Worpress blog site. I pay £16/mo, no lock-in at the "Gym" in Brighton. All you need to keep in shape and have not noticed the equipment being dis-respected! Not sure why people are voting cold when its based on the deal. 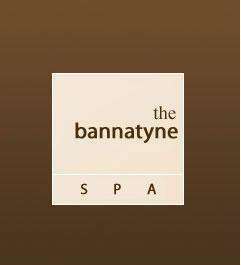 If you go to other Bannatyne clubs, then you'll appreciate how good a deal this is at £29 a month instead of £39. Just because other gyms are cheaper doesn't make this a cold deal. BIG GYM FOR BIG RICH PEOPLE.